Unspoken is out today, and I am so excited for people to read it! I have a Gothic Tuesday for you all, but first I have this short story present, MOST FANCILY on amazon! I had the privilege of reading this story many months ago and swooning over it almost as much as I swooned over Unspoken, the first book of Sarah Rees Brennan’s gorgeously crafted modern gothic trilogy. Sarah’s writing is incredible in that she is able to write these witty, lush scenes that have you smiling along until suddenly, in a single sentence, she reaches out to break your heart. I enjoy the contrast of Jared’s loneliness in the rough streets of Hunters Point/Bayview in San Francisco and the small, strange English town Jared is headed toward, and the girl he is about to meet. But most of all, in this story, I enjoy Jared himself, a character who is a study in contrasts–pushed to such extremes of despair and fury that he’s truly capable of anything and yet capable of vast kindness, gentleness and humor. 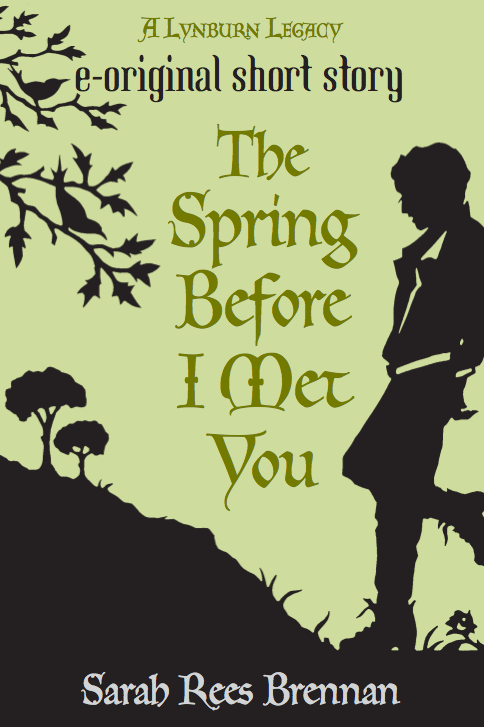 Scroll down to find and read The Spring Before I Met You! Awesome! Which one should be read first? This one or The Summer Before I Met You? This one chronologically comes first, but which you please, there are no spoilers!